The Indivision AGA Mk2 A1200/4000T is a flicker fixer. 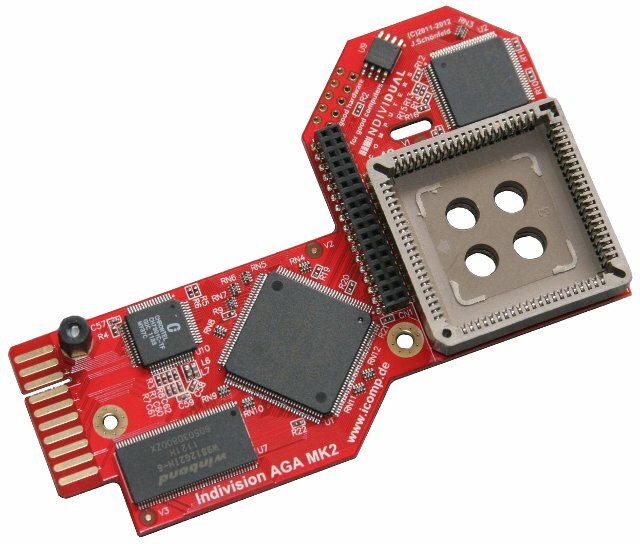 This version supports the Amiga 1200 and 4000T (not the A4000 desktop model, there's the Indivision AGA Mk2 A4000/CD32 for use with that computer). Other Amiga models are not supported. DVI VGA Adapter DVI HDMI Adapter Please don't forget to use the configuration options to add a VGA or HDMI adapter if you intend to use the Indivision AGA Mk2 with a monitor that has no DVI but a VGA or HDMI input. The Indivision AGA Mk2 is plugged over the Lisa chip, no other connection to the motherboard is required (unlike other internal flicker fixers that also require a connection to Alice). 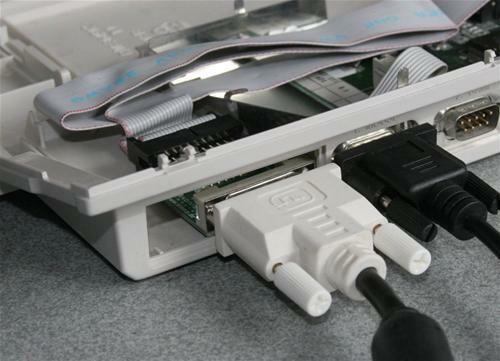 Due to a much enhanced 84-pin PLCC socket being used, the Indivision fits like a glove and won't come off easily. 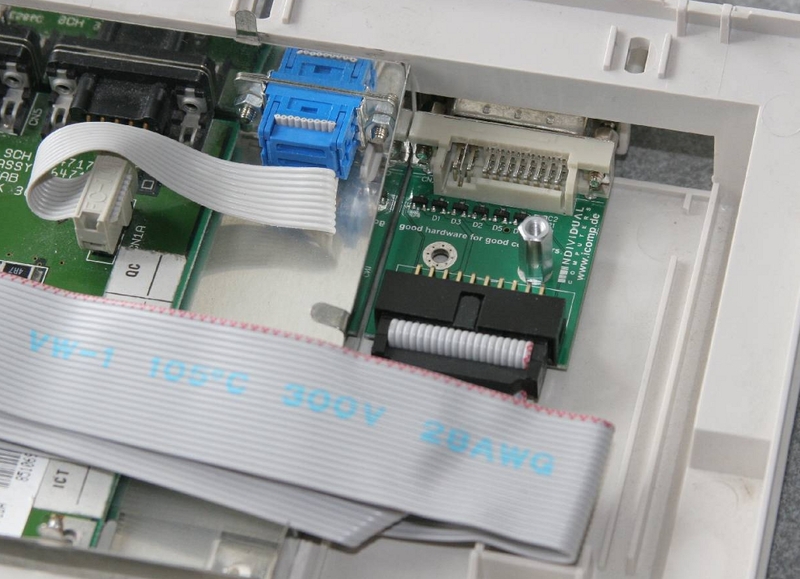 In the Amiga 1200 the DVI output is mounted beneath the floppy disk drive, so the connector is situated next to the mouse port. A mounting kit is included with the delivery. (*) Important Note: The first batch of Indivision AGA Mk2 is shipped without a configuration program, and the current version of the flash program shipped with the device is rather an expert tool than an example of user friendliness. You can get the software directly from Individual Computers' website: flash tool and core (pre-release version). Furthermore, the Indivision AGA Mk2 can currently only display PAL and NTSC modes accurately, support for other screen modes is still being worked on.